If you're a child of the 80s or just love 80s music, this immersive interactive cruise experience is 'just for you'. We're taking you back to the most outrageous era of music where the hair was big and the songs were even bigger! We're not just replacing a normal cruise ship entertainment programme, we're turning the ship into our very own Floating Festival headlined by Tony Hadley (ex-Spandau Ballet), UB40, Pat Sharp and featuring many other iconic 80s legends. With everything from gnarly theme nights, interactive events, awesome activities and of course, hit after hit of 80s music! Enjoy three nights on board the incredible Explorer Of The Seas and allow this luxurious floating resort to transport you on the Ultimate 80s Festival Experience. Floating Festivals bring together music artists and their passionate fan communities, by creating 'one of a kind' themed cruise holiday experiences that engage and amaze. To break down the walls between the Star Artists and their loyal fans through up ‘close & personal’ performances and events. See your Musical Icons perform in a West-End style Theatre with unobstructed views! To deliver the best intimate and immersive festival cruise experience imaginable. To excite passengers with an extraordinary escape from normal everyday life - from the moment you arrive in Southampton to the moment you disembark. To build a like-minded community by sharing the perfect combination of fun, travel and music! Join iconic 80s stars as they rock the high seas day and night. PLUS enjoy special up close Q&A activities, late night parties and unique experience such as ‘Casino with the Stars’ all on board with your favourite stars. Enjoy non-stop gnarly 80’s activities and events, awesome theme nights and blockbuster shows, all amongst your favourite 80s music ALL day and night. The best part is it’s all in absolute luxury and comfort onboard our Explorer of the Seas cruise ship. Throwback is more than a music festival. It’s more than a cruise. We’re bringing together like minded fans and lovers of everything 80’s to celebrate this golden era of music. 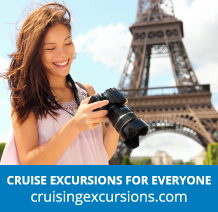 All in absolute luxury onboard Explorer of the Seas while travelling round trip from Southampton to Le-Harve, October 11-14, 2019.